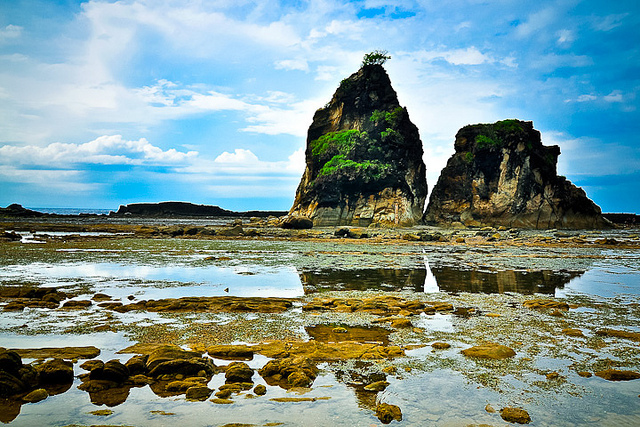 Sawarna beach is the hidden beauty beach in Banten with magnificent scenery. The beauty, original the nature beach is suitable as the tourist destination. Maybe some of us are unfamiliar with Sawarna beach resorts located in Banten province, location Sawarna beach in the district Bayah, Lebak regency. In the region of Banten there are several beach resorts are very interesting and beautiful, one only that this Sawarna beach which has its own charm, characteristic of this beach is the presence of a large rock, usually people called the Batu Layar that has existed since time immemorial, apart from Batu Layar other beauty that blends white sand with clear water so that exudes extraordinary beauty, scenery all around it, also no less beautiful, offering original panorama of green tropical forests protected by the local government. Sawarna beach is a beautiful beach which is located in Sawarna Village on the south coast of Java Island Indonesia. The beach features crystal clear blue water and stretches of white sandy beach, shaded by beautiful rows of sheltering trees and more. It is without a doubt one of the most beautiful beaches in the province of Banten. 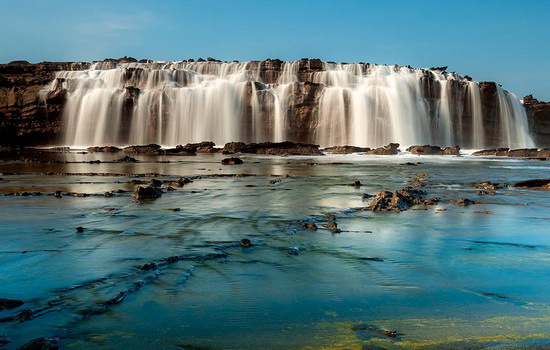 Sawarna itself is a coastal village that has varied interesting tourism spots. Sawarna village has a variety of interesting attractions to visit such as beaches, rivers, forests, rock cliffs, caves, and agrotourism. Its beautiful landscape is also shrouded in the myth of “Nyi Roro Kidul”, the mythical Queen of the South Seas, besides being replete with the history of coal exploitation in the nearby areas of Bayah and Lebak. Sawarna beach is located in the Village Sawarna Gendol, Sawarna Village, District Bayah, Lebak District, Banten Province. This beautiful beach is about 150 km from the city center Rangkasbitung. Travelling on the beach is very pleasant and memorable because of its natural pristine also has a crystal clear sea water is not polluted.